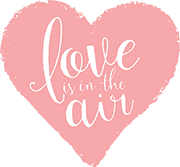 At Louis Hotels we believe love should be celebrated every day! Whether you’re ready to say “I do” or “let’s do it all again”, we have created a wonderful world of beautiful, romantic and sunny beachfront resorts, ready to celebrate your love story. Whether you are planning a wedding overseas or a honeymoon after your ceremony at home, our destinations in Cyprus and on the Greek Islands combine the ideal climate and landscape with accommodation designed for romance.